Bass player for Metallica in the 1980s who was killed in a tragic bus accident in 1986. He contributed to the albums Kill 'Em All, Ride the Lightning, and Master of Puppets. While performing with his former band Trauma in the early 1980s, he was recruited to join what would later become Metallica. When Metallica was inducted into the Rock and Roll Hall of Fame in 2009, he was posthumously inducted with them. He was born to parents Jan and Ray Burton and had two older siblings, Scott and Connie. His brother, Scott, died when Cliff was 13. 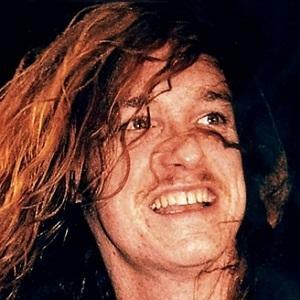 He was replaced by Jason Curtis Newsted as bassist in Metallica after his death.